Anyone who has followed the saga of prison lifer Richard J. Wershe, Jr. knows a Wayne County judge wanted to revise his sentence to time served under a new set of laws and rulings by the Michigan Supreme Court. But Wayne County Prosecutor Kym Worthy has fought a reduction in Wershe’s sentence as if he were the Michigan equivalent of Charles Manson. 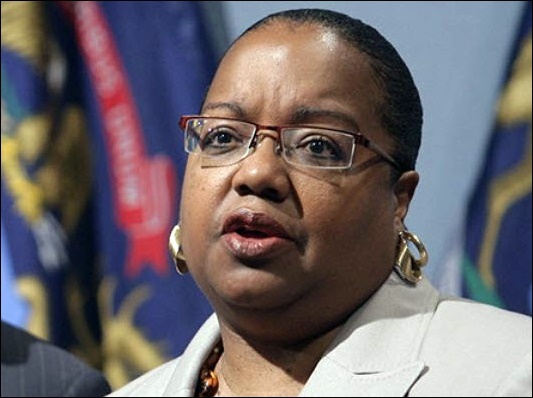 She has waged a vigorous and costly battle through the Michigan Court of Appeals and now the Michigan Supreme Court where a decision is awaited. Through it all, she has decline to talk with reporters about the case. If I were able to interview Kym Worthy about her opposition to Rick Wershe, here are a few questions I would ask. Since she won’t explain her actions, this blog post will consist of some questions but no answers. It will be a short post. Q: Ms. Worthy you have spent considerable taxpayer money fighting a sentence reduction for a man who has already served 28 years of a life sentence for a non-violent drug conviction committed when he was a teenager. Why are you fighting this fight? Q: Ms. Worthy your office has admitted to me in response to a Freedom of Information Act request that the “records do not exist” to support past allegations by the Wayne County Prosecutor’s Office that Wershe was the leader of a major dope gang where associates were murdered and witnesses disappeared. On what basis do you contend Wershe should remain in prison while others similarly charged and convicted have been released? Q: Ms. Worthy, there is nothing in the court records to indicate Mr. Wershe was ever charged with racketeering, operating a continuing criminal enterprise, narcotics conspiracy, narcotics co-conspiracy or any other “kingpin” or “drug lord” crime. Why are you fighting so hard to keep this man in prison? Q: Ms. Worthy, can you cite another case, any case, where you have waged the kind of appellate court fight you are waging in the Wershe matter? Q: If not, why is this case different? 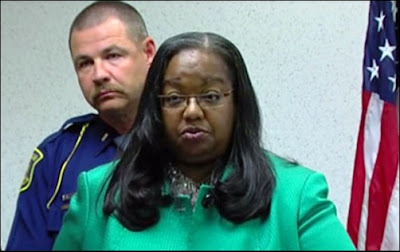 Q: Ms. Worthy, how many times have you objected to the parole of a major crime inmate who was prosecuted by your office? Q: You have complained very publicly in the past that you don’t have enough money in your budget, you called the reduction in the number of assistant prosecutors “tragic”, and you complained loudly about the effect on crime prosecutions. How much money has your office spent researching, writing legal briefs and fighting to keep Richard J. Wershe, Jr. in prison? Q: In a case where a black federal agent shot and killed a black suspect, you exonerated the agent by saying, “facts matter.” Why won’t you insist on a full and open review of the “facts” that “matter” in the Wershe case? Q: Before he got in trouble, Rick Wershe, who is white, was a valued FBI informant against black drug crime and police corruption in Detroit. What role does race play in your strenuous fight to keep him locked up? Q: Wershe infuriated the so-called Black Caucus of Detroit, the political powerful blacks of the city, when he helped the FBI prosecute the late Willie Volsan, former Mayor Coleman Young’s brother-in-law. Detroit’s black political power structure helped get you elected and has helped keep you in office. How much influence does the Black Caucus have over you in this battle against Wershe? Q: Wershe also helped the FBI, several times, investigate former Detroit Police Homicide Inspector and later City Council President Gil Hill, now deceased. As you know, Hill was a target in an FBI undercover sting operation to expose drug payoffs in Detroit. And Hill’s successor in the Homicide Bureau has signed a sworn affidavit that Hill helped organize your office’s opposition to Wershe’s parole in a 2003 hearing. Have you conducted an internal investigation of what appears to be corrupt influence on your office? Q: What was your personal relationship with Gil Hill and what influence has it had on your relentless pursuit of keeping Rick Wershe in prison for life?